Heathlands' Hub: Website Reporters - Meet the rest of the team! Website Reporters - Meet the rest of the team! My name is Angelina and I am in 5CC. I like singing, dancing, drama and gymnastics. 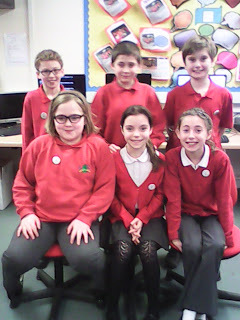 I wanted to become a Website Reporter because I like working with computers and it sounded exciting to put be able to put reports on the School blog. My name is Isabelle I am in 5RC. I like to go swimming and playing the piano. I wanted to be a Website Reporter because I love going on computers and I wanted to add some cool things to the hub. Hi, my name is Abbie, I am in 5RC. My hobbies are swimming, scuba divings, playing the piano, singing and acting. I would like to be a Website Reporter because I love reporting and using the computer. Do you like to sing? Why not join "Choir"